The Gold Coast experiences 1 in 3 homes attacked by Termites and homeowners a paying the price when it comes crunch time. 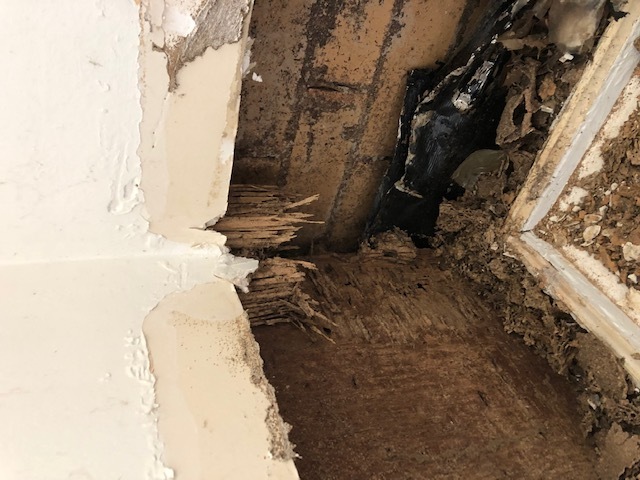 This photo shows just how serious it is when it comes to termite infestations, replacing termite damaged timbers and then paying to protect them. Wouldn’t it make more sense to protect the home first to reduce the risk. Spending the money to protect your home from termites is smart business, just like insuring the car, the boat, the home from theft and fire.